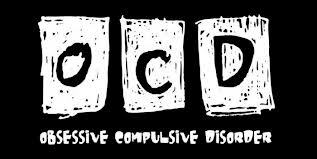 Obsessive Compulsive Disorder can be treated, never cured, but often quite successfully treated indeed. I once had the privilege of working with one of the foremost experts in the world in the field of OCD research and treatment; Throstur Bjorgvinsson, Ph.D (heretofore to be referred to as Dr. B). By the time we met, Dr. B had successfully treated thousands of patients with OCD who exhibited symptoms from mild to extremely severe. I recall that there was one pre-teen who had no choice but to stare at a clock every waking minute of every day, literally counting every second that passed by. He could do nothing else, and if he had to say, use the toilet, he had to have a clock with him so as not to disrupt his routine. When he was removed from the dining hall each evening, he would scream at the top of his lungs, thrashing around and undulating wildly until he was firmly seated in front of the next clock he could possibly find. Now certainly this was a very severe presentation of OCD, and most individuals afflicted with it experience symptoms that rate much lower on the severity scale. I had the opportunity, under the tutelage of Dr. B, to treat one patient with moderate OCD, whom we managed, after several months of working with this patient and having his complete cooperation and dedication to finding a cure for his symptoms, we managed to get to the point where his OCD was completely under control, and in fact remains so, in large part, even today; 13 years later. Allow me to describe the types of symptoms that this particular patient had to overcome in order to achieve the normal life which he lives today. Locking and unlocking doors in increments of three, 7, and 11 depending on his current stress level. Having to step within each tile on a tiled floor without stepping on even one crack, if he did, he needed to go all the way back to the other side of the room and start from the beginning. Feared that if he did not practice certain rituals, that either he or his loved ones would die in some horrible fashion. Had to make certain that everything in his vicinity was lined up, exactly, and that everything; shoes, shirts, etc. were all folded or stored away with exact precision. This following is the treatment plan which we prescribed for him, which ultimately managed (with a great deal of work on his part) to get his OCD symptoms under control. Joe (the patient, as we shall call him) was observed by both the staff on the ward in which he was housed, during waking hours, and covertly by both Dr. B and myself while he was walking to our sessions, and returning back to his ward from them. The staff made careful notes, as did we as to exactly what behaviors Joe exhibited while going about his everyday routines. We were amazed to discover just how much of his time was spent trying to counter negative thought processes and how exhausted it left him. We knew that we had to “break” Joe somehow from feeling like he had to protect both himself and his loved ones from any kind of harm. We knew based on testing that Joe possessed a genius I.Q., and from sessions with him, had learned that intellectually he was thoroughly aware that nothing he did actually made any difference, offered no real protection, and that it was all just the result of misfiring neurons in his brain, plus, that his condition was completely ridiculous and laughable. Even so, he said, “I still can’t stop myself from doing it! If I try, then my brain simply rebels and stresses me out so much that eventually I just cave in and do it just to get the relief.” This type of self awareness is not at all common in patients with OCD, but we believed that due to his high I.Q. that somehow he was able to make the differentiation between himself and his illness and was therefore able to recover from it so effectively and efficiently in such a relatively short period of time. We realized that in order to ward off bad things, we would rub the inside of his left forefinger on the side of a wall, table top or other; three times. We realized from the reports or the ward staff, that he would close his right eye and stare at the light in his room with his left while he turned the light on and off either three, 7 or 11 times and muttering some kind of protective mantra. And, we realized that he had a considerably difficult time deciding which side of a tree, or pole, or rock to pass on. He would literally have to stop with the item directly in front of him with one hand on either side and finally decide based on some unknown criteria to go to the left or the right. All of these symptoms combined, left Joe feeling utterly exhausted by the end of each day at which point he would simply crash just not able to deal with the stress any longer. We worked with Joe for several weeks, and finally got him to open up as to what exact catastrophes he was trying to avoid with each of the rituals that he performed. We found out that while most were just rote, there was one in particular that had a great deal of significance to him. He felt that if he did not touch the edges with his finger, that his parents would die, right then, in a horrible fiery car accident of some kind. He was certain of it, and “knew” that if he did not follow through on the protective ritual, that he would no longer have them in his life. So, how did we set forth to break this behavior in Joe? Here is how it went. Dr B. told Joe one day in the hallway outside of his office next to a particular table that he had seen Joe touch every single time he had passed it on the way to his sessions. He told Joe that under no circumstance was he allowed to touch the table, and to take it even further, told him that at that very moment his parents were dying in a horrible accident. Of course initially this really freaked Joe out! And truth be told he touched the table immediately after being told not to by the doctor, but as Dr. B persisted with the same scenario day in and day out, Joe eventually gave in even though the second through 5th days he rushed back to the ward after his session to call his parents and make certain that they were indeed safe. They were, of course, and slowly Joe began to be able to connect his intellectual knowledge that it was all nonsense with the compulsions that made him act out in the first place. Slowly, over the course of 6 months, Joe began to be able to transfer this knowledge to all of his compulsions, and eventually got his OCD under control without the need for medication. Update: Even though OCD never goes away, and often worsens with age, Joe has managed to keep it under constant control for that last 13 years, simply by making slight adjustments periodically. He still does not require medication of any kind to assist in the management of his OCD! Thank you Peter. I enjoyed your post very much as well! On Hiatus but Back, And Boy Do I have a Tale to Tell! A Normal Four Year Old? Or an ADHD Kid? Mental Illness, a Blessing or a Curse? I'm an average guy laughing, crying and just trying to hold it together. Erase the stigma of mental illness! A journey through mental illness.